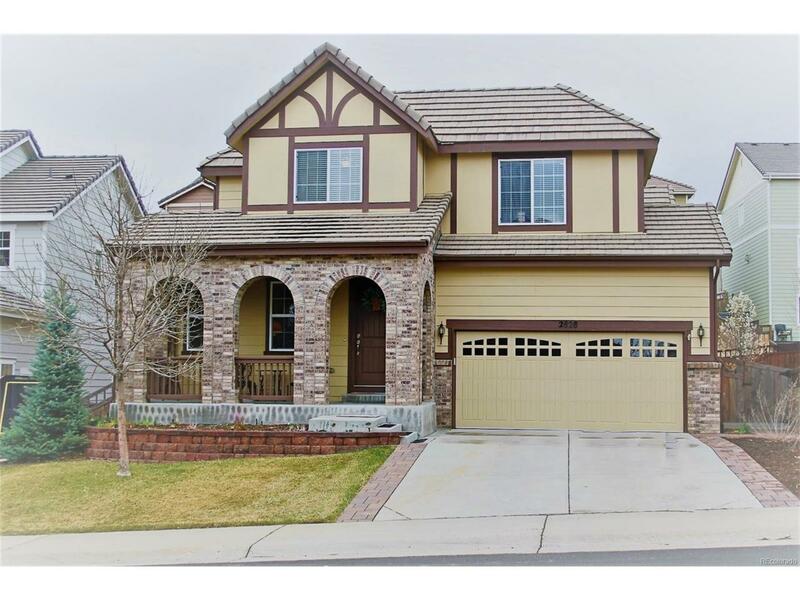 Amazing 2 story home in The Meadows of Castle Rock with an inviting front porch leading you into a beautiful entry with hard wood floors. The main level features separate formal living & dining rooms, a gourmet eat-in kitchen with double ovens, granite counters, and over-sized center island with storage. Kitchen opens up to fabulous family room with gas fire place. Enjoy entertaining on the back deck around the custom fire pit or relax in the late afternoon shade from the awnings! Spacious Master Suite with 5 piece bath and large walk-in closet along with 2 additional bedrooms and full double vanity bath complete the upper level. Gorgeous finished basement with wet bar, pool table, wine bar and cooler, additional shelving, cozy media area and so much more. Close to many walking trails, shopping and easy access to I25. Desirable floorplan. Meticulously kept home, pride of ownership. A truly great home!